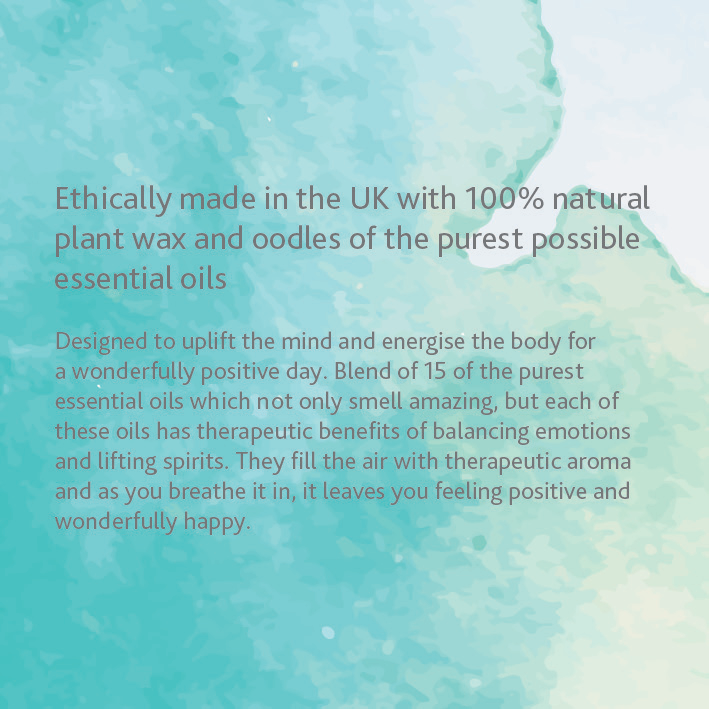 Luxurious blend to uplift and invigorate, leaving you feeling wonderfully happy all day long. 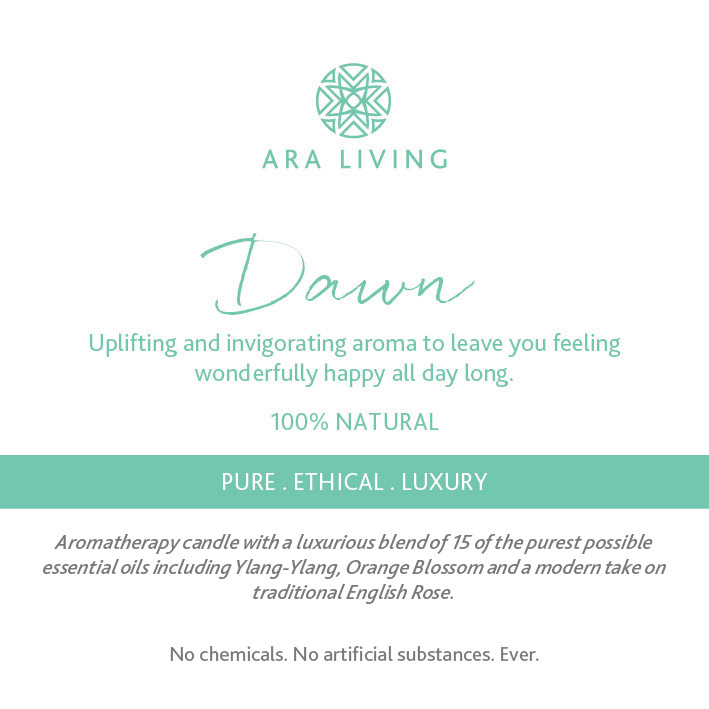 Ara Living Dawn fragrance is a luxurious blend of 15 of the purest possible essential oils including Ylang-Ylang, Orange Blossom and a modern take on traditional English Rose. 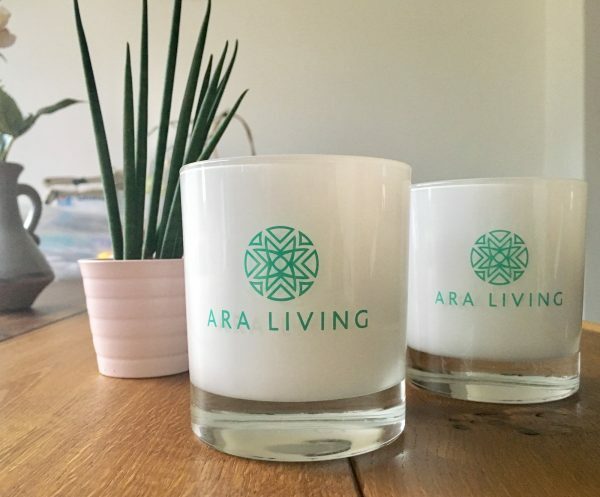 Designed to uplift the mind and energise the body, Ara Living Dawn aroma candle is a complex blend of 15 of the purest essential oils which not only smell wonderful, but also have therapeutic benefits of balancing emotions, lifting spirits for a positive state of mind and leaving you feeling energized and happy. 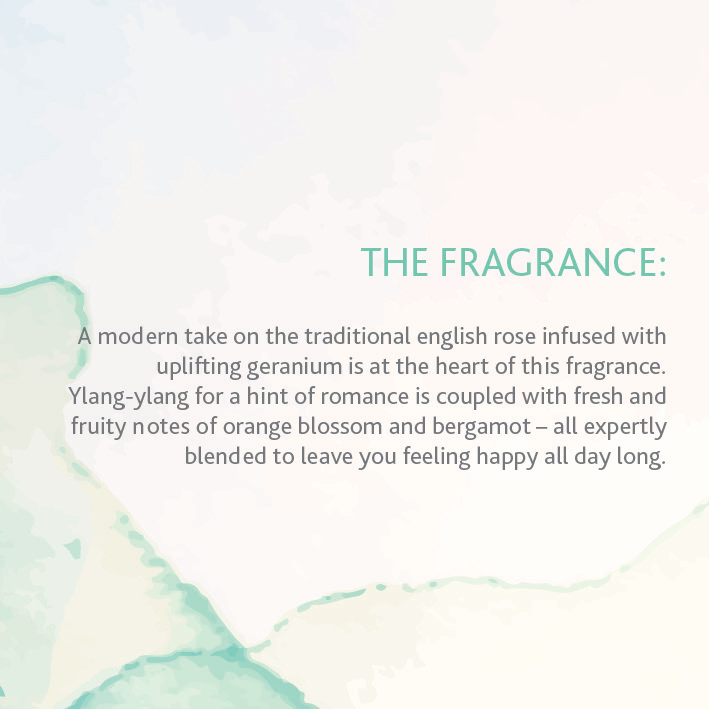 Fragrance: Modern take on the traditional English Rose, infused with uplifting Geranium forms the heart of this fragrance. 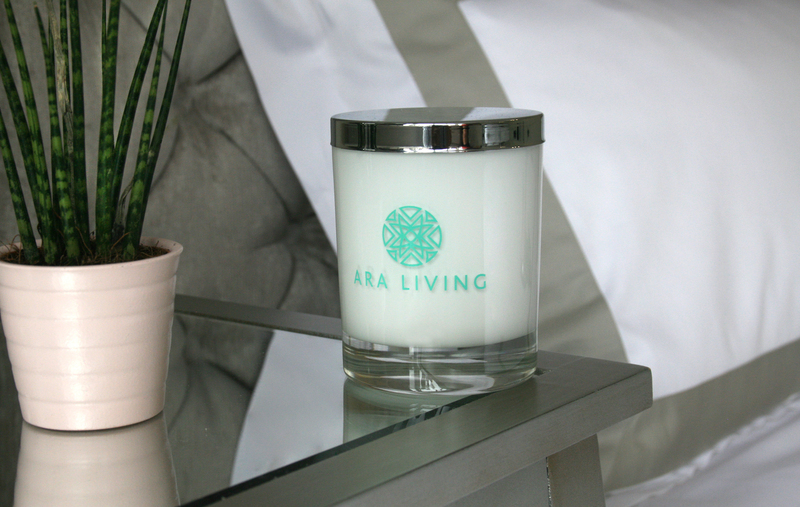 Ylang-ylang for a hint of romance is coupled with fresh and fruity notes of Orange Blossom and Bergamot for a wonderfully happy and uplifting blend. 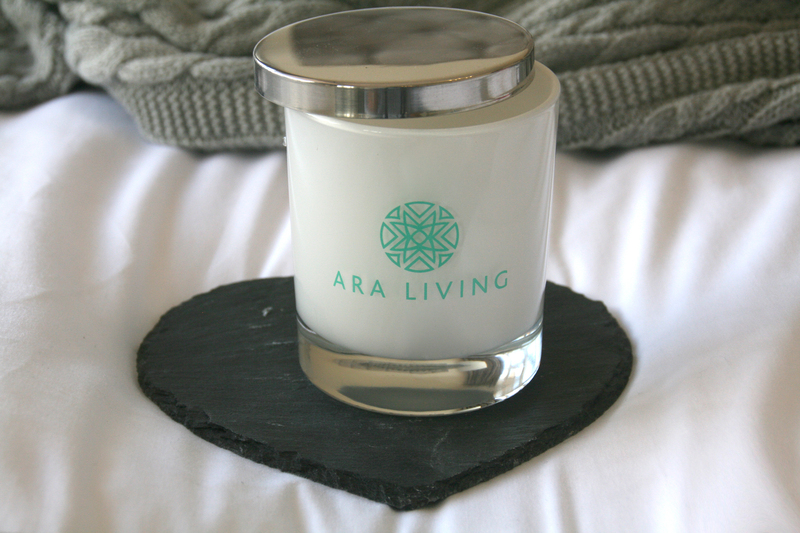 How to Use: Enjoy over 35 hours of aromatic bliss with the Ara Dawn candle. When you light the candle for the first time, let it burn for at least 2 hours so that the top layer can melt for an even burn. 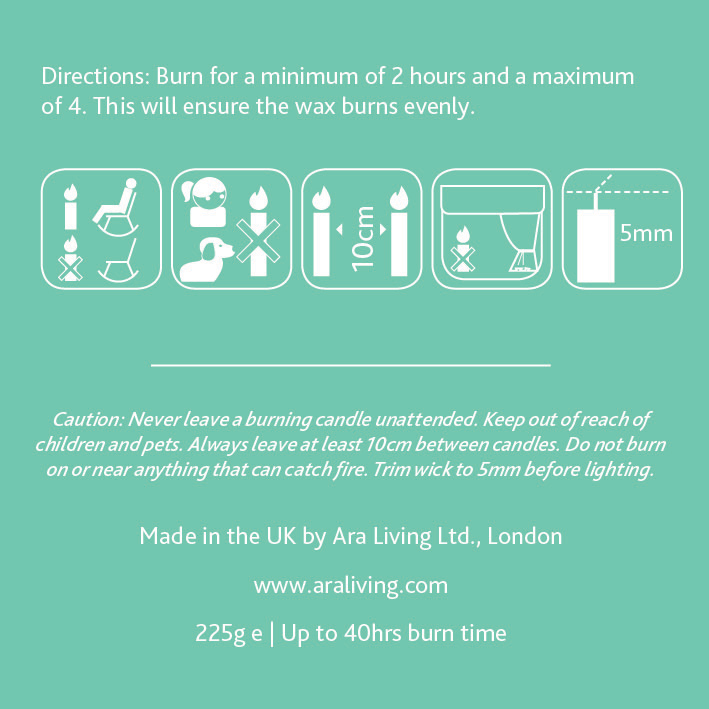 For best results trim wick to 6mm before lighting and do not burn the candle for more than 4 hours at a time to avoid smoking or enlarged flame.